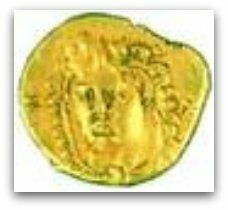 Largest collection of icons on the island, covering the period from 9th to 19th century AD. 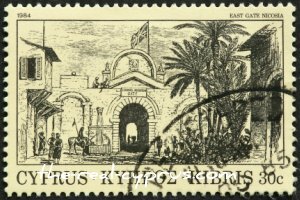 Collection of Cyprus stamps from 1800 to the present day. These stamps, classified internationally amongst the best, are of significant value in world of philately. 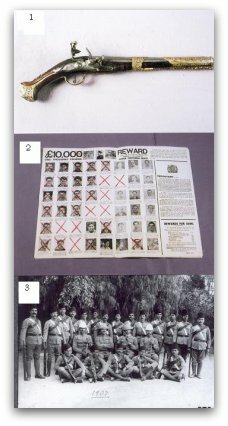 The collection is accompanied by a display of objects relating to the history of the islands Postal Service. The visitor can see uniforms, arms, equipment and police vehicles, as well as musical instruments, photographs and documents of the Police Band. This is the only pen museum in Europe. Its collection includes more than 2000 pens from all known pen manufacturers. We love to visit Fikardou Village & Rural Museum and it can be found in the District of Nicosia on the Machairas to Nicosia Road 1km east of the village of Gourri which incidently is also worth a stop on the way up if you have the time. The whole is area is a lovely photo opportunity. Deserted at the beginning of the 19th Century, the village of Fikardou has been declared an ancient monument" and carefully restored to preserve its 18th century houses with their remarkable woodwork and folk architecture. The video is a personal one taken around the village by someone on holiday. It gives you a very good general impression of the area. Do note the style of stonework in the area, and in reality the stone is quite a dark blue/grey slate with almost red stones to infill around the large ones. It is quite lovely. If you would like to stop for lunch, there is 1 village restaurant only and you will get local food and coffee plus the usual beer and soft drinks. The restaurant is quite small but in the summer they have a little outdoor seating. Do not go on a sunday if you are hungry because the area is mobbed by local people and tourists and it would be disappointing if you could not get into the restaurant. We had the best chicken and potatoes here on a midweek visit when no one was around during one trip. Take some drinks and back up sandwiches just in case. 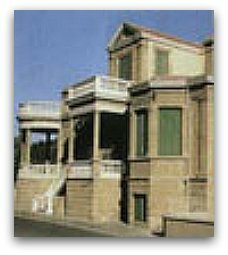 This museum, installed in an old restored building, houses the Byzantine art wealth of the several churches and chapels of the two Palaichoria villages, Palaichori Morfou and Palaichori Orinis. It was inaugurated by His Beatitude the Archbishop of Cyprus Chrysostomos on the 11th of January 1998. The exhibits are representative of a long chronological period from Frankish rule (1192-1489) down to the present. 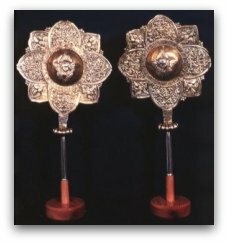 They reflect a wide spectrum of the ecclesiastical art, mainly of the post-Byzantine period, principally painting, wood-carving, silverwork, weaving and printing. 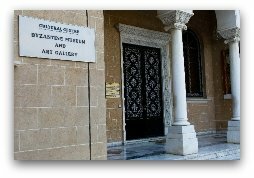 The Museum also has collections of icons, paintings on leather and canvas, holy utensils, printed books from the 16th to the 19th century, engravings, manuscripts, old sacerdotal costumes, antiminsia and furnishings (such as an altar, an epitaphios and candelabra); and there are also ex-voto and other typical furniture from an Orthodox church. 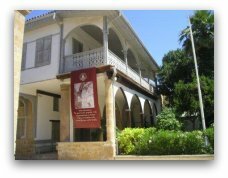 The importance of the Museum is founded on the fact that its collections are among the most representative of the development of ecclesiastical life and art in a rural community in Cyprus. The exhibits of the Museum give a plethora of information about the evolution of religious, social and economic life in Palaichori from the Medieval Period to the present. This information enriches our knowledge of the onomatology of the inhabitants of the community, as well as matters of wider religious practices, customs and ceremonies. Most typical of this are the offerings the people dedicated in the churches and chapels of Palaichori, which show among other things the special needs of the every day life of a small rural society situated in one impassable mountainous region of Cyprus. These ex-voto and their dedicatory inscriptions also bear witness to the import of art works from Europe and the East, as well as to the activity of the Latin lords of the fief of Palaichori during the Middle Ages and the Renaissance. A system of electronic information (multi-media kiosk) has been installed in the museum in order to give information about the history and sights of Palaichori in four languages. Created in 1997. 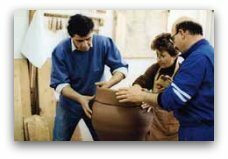 Team work: S. Sophocleous, Art Historian - Museologist, Giannis Aristodimou, Architect, Kostas Chasapopoulos, Alexa Ebel, Stavros Stavrou and Suzanna Agathokli, Conservators. With the financial support of the ANASTASIOS G. LEVENTIS FOUNDATION. Athalassa can be described as the “green lung” of a rapidly expanding city with minimal green grounds, Nicosia. The Athalassa area is situated to the south-east of Nicosia, at a distance of about 5 Km from it and is surrounded by Aglandjia to the north and east, Strovolos to the west, and Yeri and Latsia to the south. It is supposed to have taken its name (Athalassa = no sea, in Greek) from the fact that in recent geological years it was, like the rest of Mesaoria, below sea, that's why the conches one runs into the area are abundant. In medieval maps, a settlement is mentioned (area of government manor house and Saint George) with the names Ailasa, Ailaza or Atalassa, providing an explanation for the ruins of the medieval castle and nunnery La Cava on little Aronas, built by King James I. It is very likely that the first houses Giovanni Mariti saw in 1767 were in the vicinity of the Farming Manor. The terrain of the area is relatively plane (130-190 metres), with the exception of the two trapezoid Aronas mountains, little Aronas and big Aronas (Lion's hill), while torrent Vathys with its two confluents flow through the area. There are two reservoirs in Athalassa, the small reservoir of Saint George and the Athalassa dam. The Athalassa dam was built in 1962, at the junction of the torrents Vathys and Kaloyeros, for irrigation purposes. It is earth-filled, 18 metres tall, 447 metres long, it has a 230.000 sq. m. surface, 791.000 cubic m. capacity and 103.000 cubic m. volume. 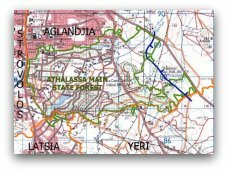 If you would like to read more about the Athalassa Forest Park here is a link to the site about the municipality in which it sits.